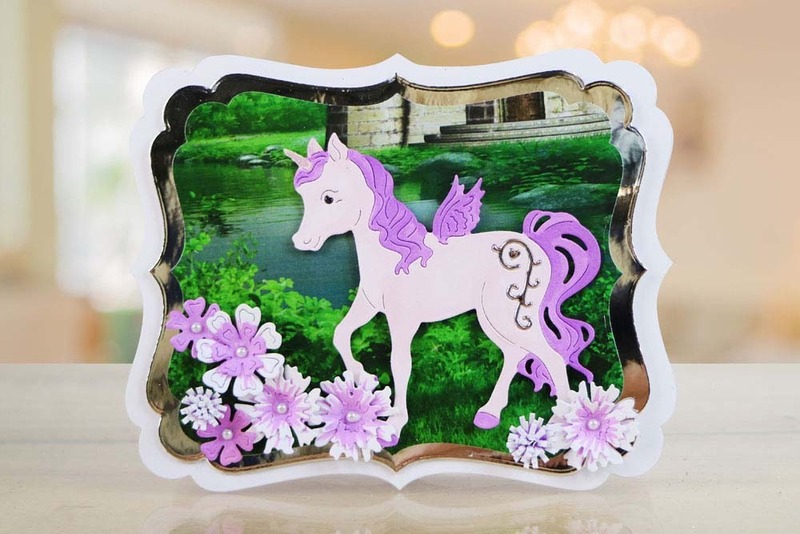 This stunning Twinkle Unicorn die from the Flectere Collection is beautifully detailed and would be perfect for a children’s card or party invitation. 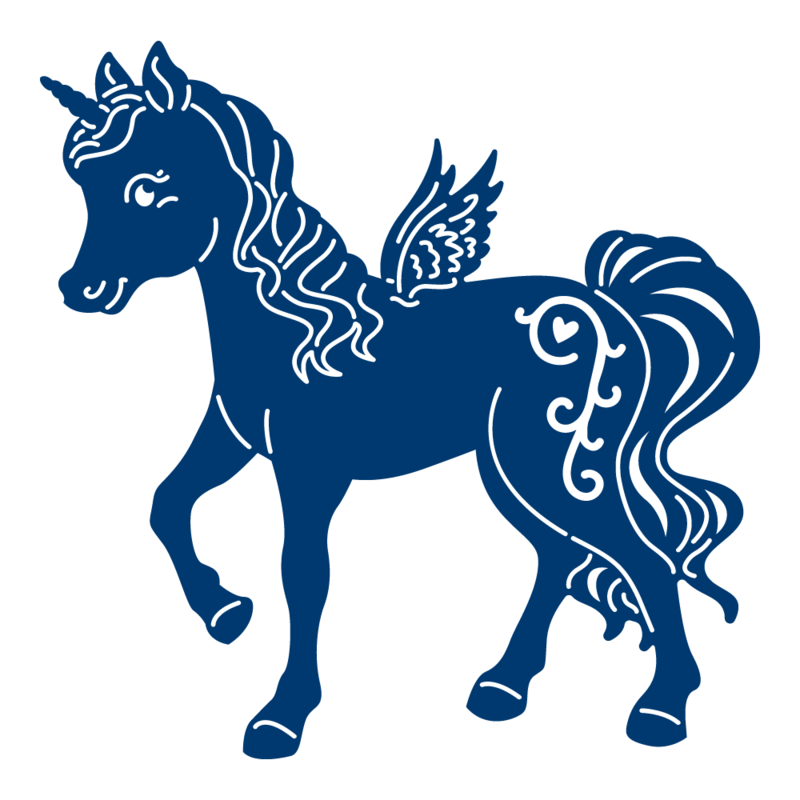 This Twinkle Unicorn has a beautiful flowing mane and tail, as well as a small horn, little delicate wings, and a unique swirled pattern on its back leg. Can be used together with other Tattered Lace dies. 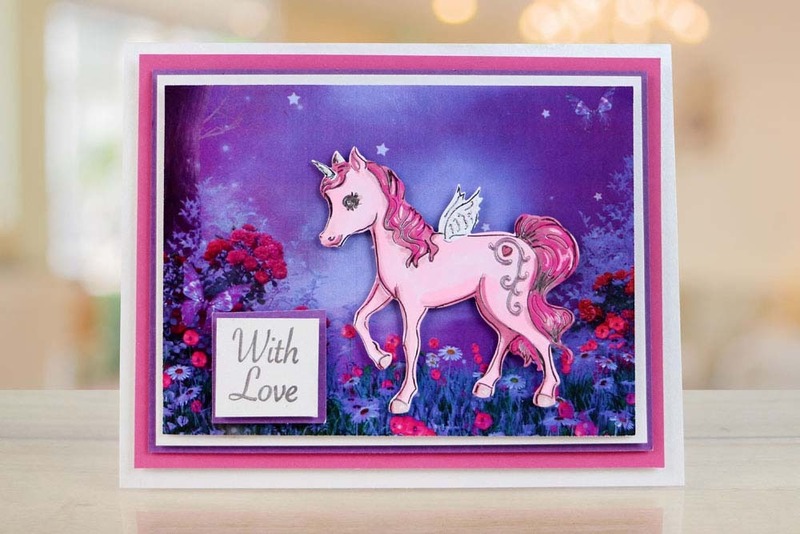 Unicorns are on trend and are loved by all ages. 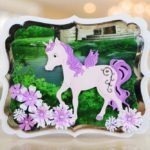 This versatile unicorn can easily be turned into a horse by snipping away the horn and wings. 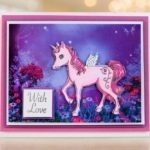 Add some Midas Touch foiling to the mane and tail to create a real mystical and fairytale feeling. This die measures approx 8.7cm x 8.6cm.